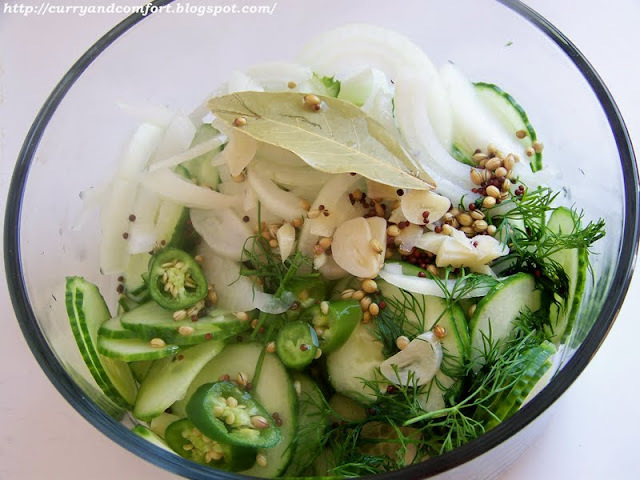 Place in a heat proof bowl and set aside until pickling liquid is ready. 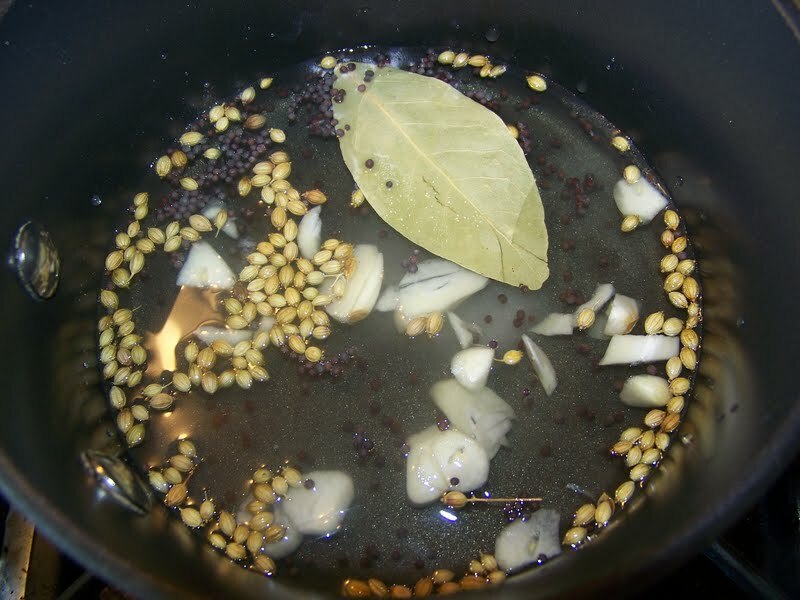 Bring ingredients to boil in a saucepan. 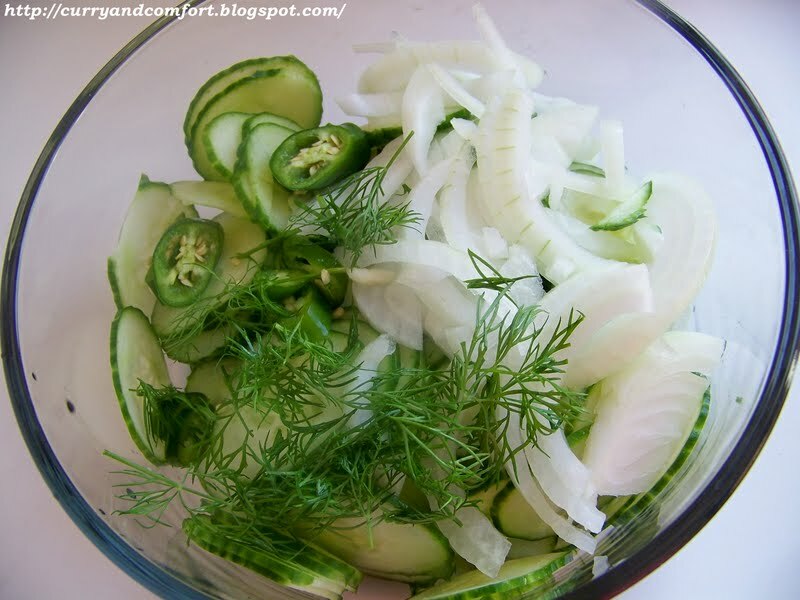 Once boiling, pour over the fresh cucumber ingredients. Toss well. 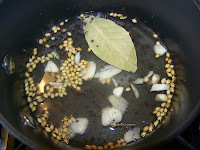 Allow to marinate for 15-20 minutes. Eat on burgers, hotdogs, chicken etc.. Keep refrigerated. Enjoy. I love homemade pickles! I've not tried them yet - but yours look great! Hmm...you got me thinking of the different uses for this!